This black and white striped jersey skirt from Tibi retails for $248 at Net-A-Porter. 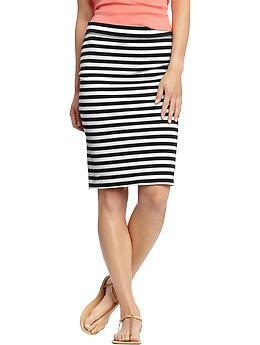 Old Navy has a great alternative, with a slightly bolder stripe, for a more affordable $19.94. Click here to view or purchase.